Today is the last day of Sunday Dhamma School. 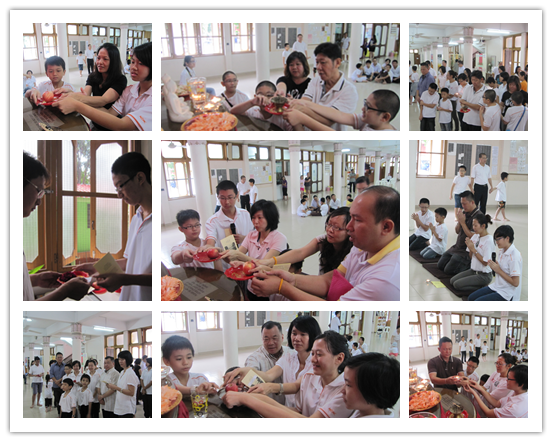 This is second year, teachers organize such a meaningful event to educate student how to show appreciation towards teachers, parents and elders. 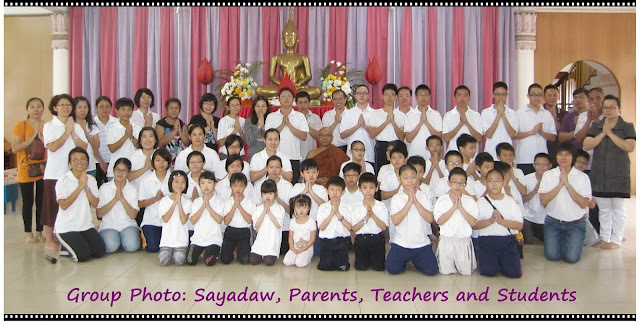 First ceremony is to offer robe to our Sayadaw to show our endless gratitude towards his teaching and to seek forgiveness. After robe offering, the next event, we require students to help their father to put on shirt and help their mother to wear socks. Let student has the opportunity in return their loves to their parents. 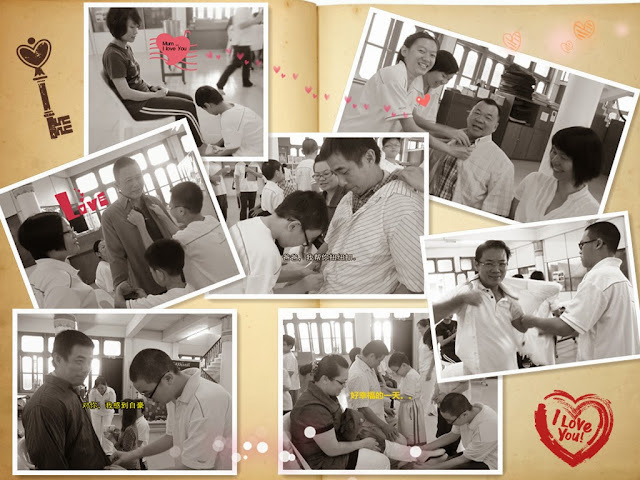 After showing endless appreciation, students start to ask parents for forgiveness. Asking forgiveness from their parents for any wrong deeds committed by body, speech or mind intentionally or unintentionally. 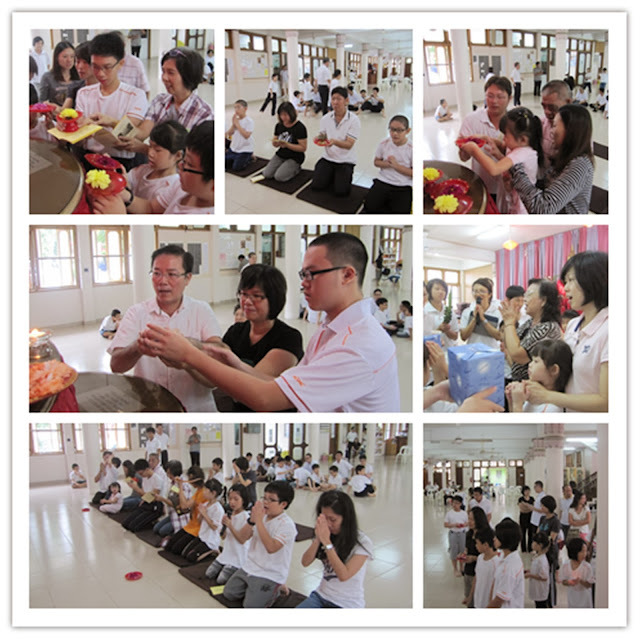 3rd event, whole family make an offering to our Lord Buddha. They are required to chant the paragraph of their offering items. 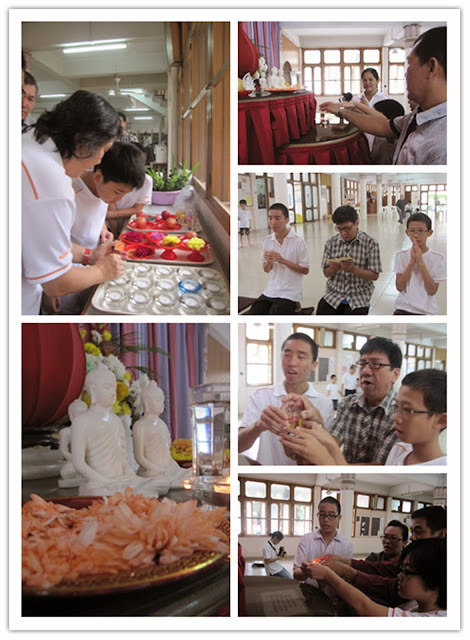 We have prepared candles, apples, incense, glass of water and flowers for Buddha Puja. The offering item are depends on their draw lot. Last but not least, it is the time for students to show appreciation to the teachers and ask forgiveness from their dedicated teachers. 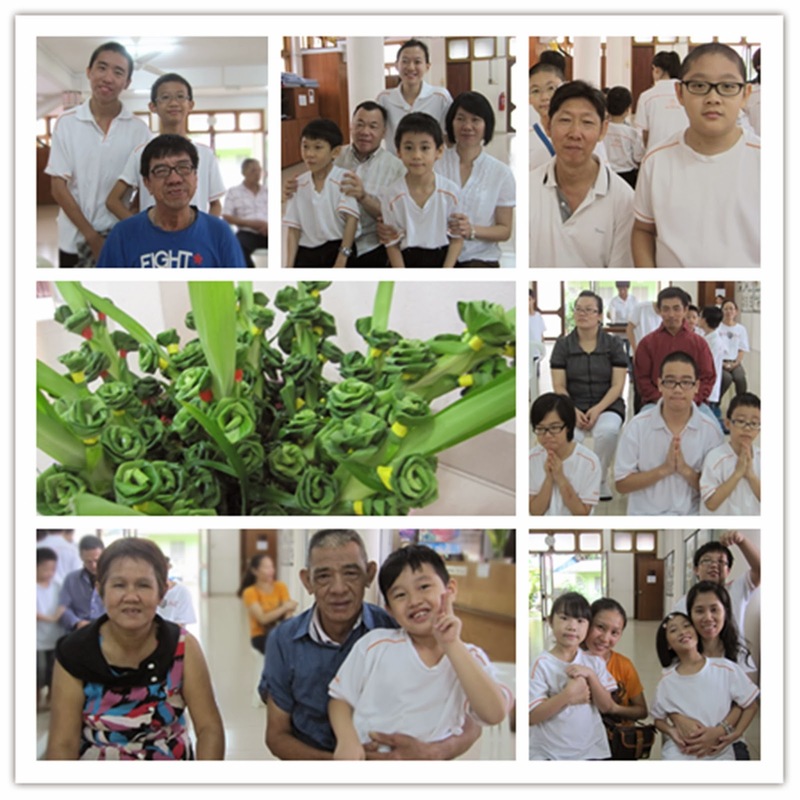 The beautiful pandan leave flowers are prepared and sponsored by teacher Liew. Sadhu! x3 to her kindness. We end the day by sharing merits to all beings. 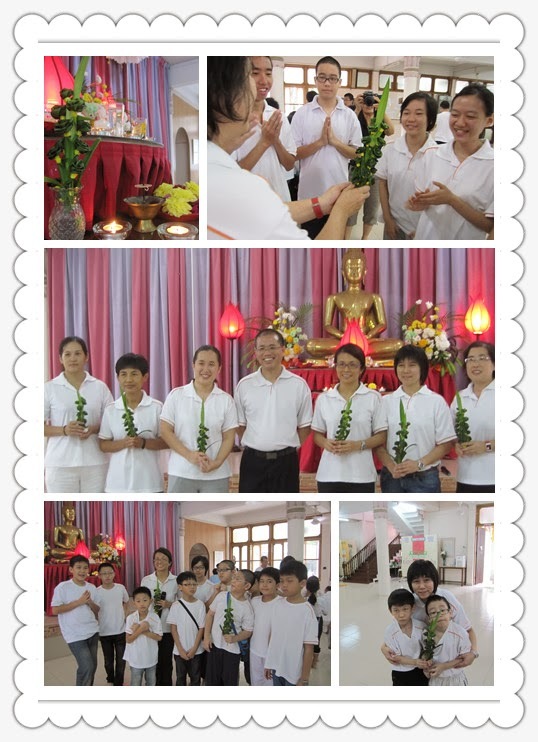 It is a great day to all the participants whereby you can see it, feel it from the face of each family.